Please be advised, reservations larger than 8 guests must be made by calling The Brock House directly at 905-493-4031. Reservations have a 2 hour seating time limit. At The Brock House, we do our very best to accommodate all reservation requests, however, we cannot always guarantee them. Call now to purchase your seat! Sunday Brunch 10:30am - 2pm Marche Brunch with chef stations. 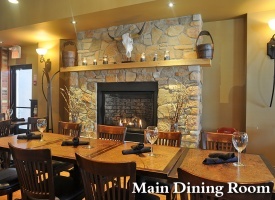 At The Brock House Kitchen & Bar, we are an upscale casual restaurant with a Muskoka cottage decor featuring an eclectic menu that has something for everyone. Being a proud member of Durham Region since 2009, we have had the opportunity to create an atmosphere that is perfect for business lunches, family get together’s, or a night out with friends. We have two private dining rooms that are perfect to host events from business meetings to weddings. We are open seven days a week for lunch and dinner as well as brunch on Sundays. At The Brock House, we provide quality food made with the freshest ingredients. 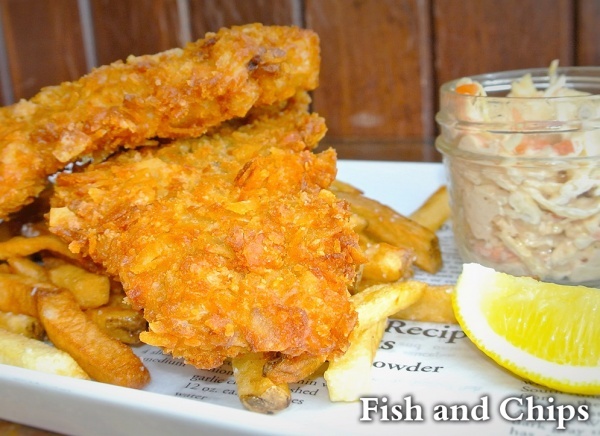 Our menu features many staples and guest favourites such as our famous prime rib, The Brock House brisket burger, stone-oven pizzas, fried chicken and waffles, house smoked ribs and seafood linguine. Being a family run business we strive to support local through our food, wine and craft beer. Come join us, whether it’s at the bar, in the dining room or on a patio, it’s a great place to enjoy your meal in a relaxing and welcoming environment. We are passionate about making your experience here at The Brock House memorable. Please see weekly features menu for cured meats, market cheeses & accompaniments. Sandwiches served with house cut fries or kettle chips. Caesar or Garden Salad replacement Add $2.50. Substitute for Truffle Fries 2.50. The Brock House proudly serves, AAA Butcher Block 100% Canadian Beef, which has been hand selected and trimmed to ensure consistent quality and perfection. We are certain it will deliver tender & flavourful beef, that steak lovers will crave! Perfectly toasted bread, perfectly flipped omelettes and perfectly crisp bacon is what makes our famous, Sunday Brunch at The Brock House a crowd pleaser and one of the best in the Region. The Brock House famous Brunch runs every Sunday from 10:30am until 2:00pm. The Brunch is both Marché as well as chef stations. The chef stations include made to order fluffy omelettes, pizzas and carvery. The Marche includes all of ones favourites; waffle station, ham, bacon, home-fries, fresh homemade salads, fresh fruit, finger pastries, chocolate fountain and much more! The perfect brunch venue for one to host a bridal shower, Baptism or First Communion celebration or any special occasion. The Brock House does encourage reservations be made in advance for large groups. Don't feel like cooking for the Holiday Season?? No Problem! We'll do the cooking for you. The Brock House offers Turkey Dinners to go for Thanksgiving, Christmas and Easter. Turkey dinners feed up to 8 guests. Expecting more company?? No problem for each additional guest add $24.00. DAILY FAMILY DINNERS TO GO! Don't feel like cooking tonight? Call The Brock House and order one of our Brock House Family Dinners for 4 to go!! Our Party Menus are designed for larger groups, social events, pharmaceutical meetings, weddings, anniversary and engagement parties, bridal showers and special events. 3 course menu at $40 per person plus tax and 18% gratuity. 3 Course Menu at $45 per person plus tax and 18% gratuity. 3 course menu with passed Hors D'oeurves to start at $60 per person plus tax and 18% gratuity. Desserts are individually hand crafted by our chef on the day of event. Guest will choose one of the following. At $25.00 (plus tax & gratuity) per person. Select Salad and Sandiwich Assortment, House Made Kettle Chips and Assortment of Pastries are included. Lunch Buffet Menu is priced per person. Organizer of event will be charged based on their final guest confirmation not on guest attendance. Guest confirmation must be given 48 hours prior to event. Hors D'oeuvres parties start at $20 per person or can be adjusted as required. Note: Tax and gratuity extra, selection from this list may require an order 24 hours in advance. *Each guest will receive a minimum of 1 piece per appetizer selected. ***Passed Hors Doeuvres parties must choose one of the packages from above. **** Hors Doeuvres parties are not available on Friday or Saturday evenings before 8pm, and Sunday brunch. 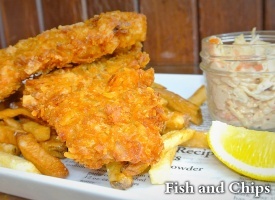 The kids menu is perfect for children ages 10 and under. Made fresh to frozen. Individual dinners for home. Choose one of our menu items and pick up in the restaurant frozen. Take it home and enjoy whenever you'd like with easy instructions and no dishes to do! The Brock House & Hot Rocks has been successfully planning events for a decade. That means we’ve had a lot of firsthand experience working on events. If you are looking for the perfect venue to host your wedding or social event you've definitely come to the right place. WHAT ARE THE CAPACITIES OF THE SPACES USED FOR GROUP DINING & EVENTS? WHEN CAN I USE THE FACILITIES? Our two private dining rooms are available for luncheons Monday through Sunday beginning at 11:30 am and evening functions. There is no charge to use the space, however there are room minimums associated with each room. All room minimums are based on food and beverage exclusive of tax and gratuity. 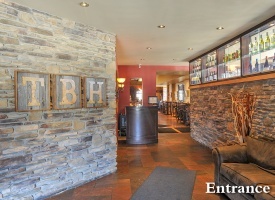 Final charges are based on food and beverage sales plus HST & 18% Gratuity. If the minimum spend requirement is not met, the difference will appear as a room rental fee on the final bill. All menus for private functions are pre-set based on current restaurant selections by our “Red Seal” Chef Sean Lemmon. Menus can also be tailored to dietary needs if requested. The group dining menus are based on our current selections. You are able to interchange items between dinner menus – prices will be adjusted accordingly. Food items are subject to current market prices. HOW ARE THE COSTS DETERMINDED AT THE BROCK HOUSE? 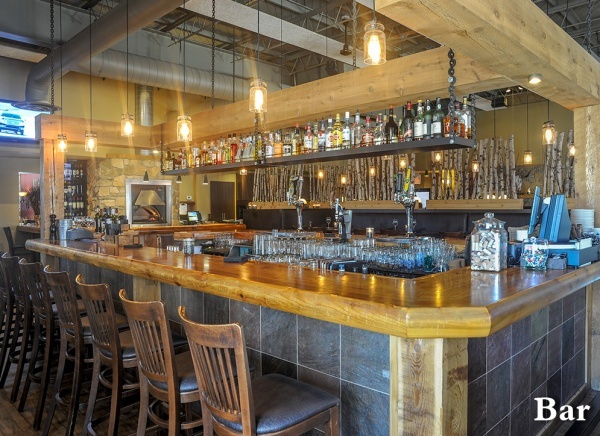 Charges for functions are based on food and beverage sales plus 13% HST and 18% Gratuity. ARE WE ABLE TO BE BILLED INDIVIDUALLY? One bill is strongly recommended for larger groups however, we are able to provide separate bills. Please be aware that separate billing does take longer to process. HOW ARE BEVERAGES COSTS MANAGED? All beverages are charged based upon consumption per drink. Wine can be selected from our current list. All wine is charged based upon bottle consumed. CAN I BRING MY OWN WINE INTO THE RESTAURANT FOR MY EVENT? An additional charge of $25.00 corkage fee per bottle will be added to your bill. Corkage fee based on 750ml bottles. Bottles of wine brought into the restaurant must be purchased from the LCBO. Corkage fee only applies to wine. No liquor allowed. IS THERE A BAR IN THE ROOM? There is no bar in the room, however our staff will provide full cocktail service for your guests. IF MY NUMBER OF GUESTS INCREASES OR DECREASES ON THE DAY OF MY FUNCTION, HOW WILL I BE BILLED? The guaranteed number of guests attending is required 48 hours in advance of the function or private booking. The Event Coordinator or Management at The Brock House must be notified of these changes. You will be billed for the guaranteed number given or actual attendance; whichever is greater. Please note, there are minimum spend requirements that must be met on food and beverage before tax and gratuity. Please inquire on room minimums with the Event Coordinator as they vary per day. CAN I HOLD A MEETING IN THE PRIVATE ROOM? Absolutely, however please keep in mind that although the room is private, it is not completely soundproof and the minimum expenditure must be met. DO YOU SUPPLY AUDIO-VISUAL EQUIPMENT? If you need audio-visual equipment, we have the requirements to suit your needs. Our Nash Room features a 46” LCD Flat Screen which has a plug in for laptop computers (Mac & Windows PC accepted). The Kent Room has no audio-visual equipment but projector screen is available upon request. The Brock House does not have microphones or projection equipment. WHAT ITEMS DOES THE BROCK HOUSE SUPPLY? We print personalized group menus for each of your guests. The Brock House will also arrange for linen table clothes, napkins and chair coverings adding the charges to your final bill if required. If designated seating is required, please provide your own place cards. CAN I BRING IN DECORATIONS FOR MY PARTY? Decorations are welcomed into the restaurant, such as balloons, candles or floral arrangements for the table. Please no wall attachments, no confetti. DO YOU ALLOW CAKES INTO THE RESTAURANT? Given the rise in allergies and the severity of them, The Brock House does not allow outside food into the restaurant. We do not want any cross contamination with our food and do not want to be held responsible. We do have a pastry chef onsite that creates custom cakes for all occasions. Please contact Maddison to receive custom cake pricing sheet. HOW MUCH DO YOU CHARGE FOR LINENS & CHAIR COVERINGS? Linens can be ordered through the restaurant at the following cost. Event Coordinator or Management Team must be notified about linen requests 4 days prior to event. HOW MUCH GRATUITY SHOULD MY PARTY LEAVE? For parties of 12 or more gratuity of 18% will be automatically be added to your group’s bill. If you find the service and food exceptional, please feel free to leave a greater tip for our servers. HOW ARE PAYMENTS AND DEPOSITS MADE? The signed confirmation form and a deposit of $200 is required to secure each room. This deposit will not be processed unless you cancel with less than 2 weeks notice from your event or if you do not show up on the date of your event. The Brock House does not accept cheques. Your deposit is fully refundable unless the function is cancelled with less than 1 weeks notice, at which time the deposit will be forfeited. 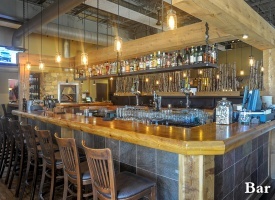 Experience the quality & style of The Brock House Kitchen & Bar at the location of your choice. Our team is well known and we are always preparing to cater to your every wish. From buffet service to fine cuisine and gourmet creations, we will provide you with the attention to detail and the finishing touches necessary to please all of your guests. We aim to please our clients and your guests. From the initial meeting to supervising your event and taking care of all your finishing touches, everyone on our experienced team are dedicated to making your day all you would imagine it to be. Enhance your next corporate or social gathering with the exceptional quality, excellence and professionalism on which The Brock House has built its reputation. 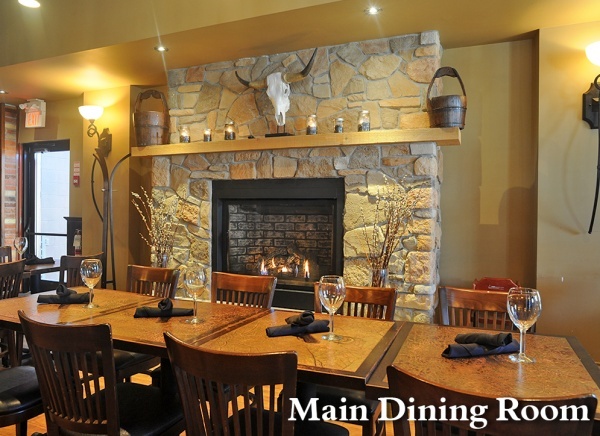 For your quote Please email Maddison at maddison@thebrockhouse.ca. 4. 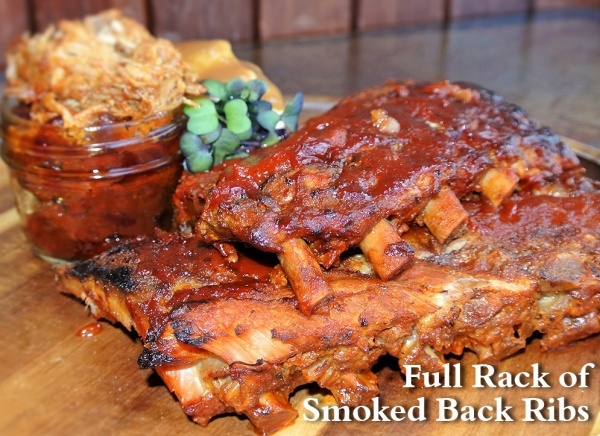 Are you looking for a sit down dinner, buffett or appetizers. Chris Neshevich knew he wanted to be in the restaurant business. He and his two cousins, Rick Neshevich and Gus Milosh with the help from their families opened Tat’s Restaurant at The Oshawa Centre in 1977. The job ignited Chris’s passion for restaurants and a respect for all it takes to be successful in a competitive industry. Years later, cousins Chris & Rick went on to establish Shrimp Cocktail in 1990. Shrimp Cocktail, became a restaurant “to see and be seen”. Shrimp Cocktail was buzzing with packed crowds, unique flavours and sophisticated atmosphere made everyone come back for more. With the success of Shrimp Cocktail underway, three years later Chris decided to start a new business venture Hot Rocks Creative Diner, which opened in Whitby. Hot Rocks was another huge success! It was then, three years later Chris’s personal friendship with Russ Kent led to a lasting business partnership at Hot Rocks. The pair shared a commitment in making customers happy and welcomed the opportunity to create another unique dining experience. Shrimp Cocktail & Hot Rocks become reputable names in the restaurant industry and Award Winning restaurants in the Region. Long time residents of Durham, Chris & Russ have always been thankful to area residents and businesses who have given their patronage over the years. As a way to pay back, Chris and his wife Kristine through the support of restaurants and their staff host several charity events every year. Shrimp Cocktail and Hot Rocks have given over $25,000 to the R.S. McLaughlin Durham Regional Cancer Centre, and countless charities in the community such as the Durham Region Humane Society, Simcoe Hall Settlement House, Durham Children’s Foundation just to name a few. The restaurant owners, have always felt it’s important to support the community they live in, especially a community that has helped them maintain their business for so many years. 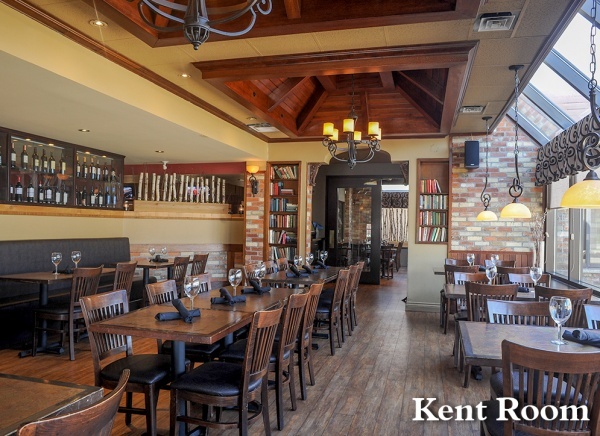 With the success of both restaurants Neshevich and Kent knew they saw a vision for another restaurant in Durham Region. A new restaurant that would combine their history with the family atmosphere of Tat’s Restaurant, the casual fine dining atmosphere of Shrimp Cocktail and the casual bistro-dining atmosphere of Hot Rocks. Opportunity came knocking on their door, when the restaurateurs purchased the former Krebs Family Restaurant and embarked on an ambitious five month massive renovation. The building’s transformation into an urban chic environment was a labour of love, taking on much of the physical labour themselves. Opening to rave reviews in March 2009, The Brock House turned into a feel of a Muskoka Cottage meets Whistler Chalet. 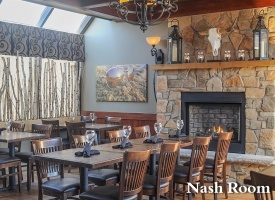 With warm woods, a stone fireplace and a centre bar that has become a favourite gathering place add to the restaurant’s charm. Comfortable booths invite conversation while private dining rooms provide a welcoming backdrop to special occasions, including anniversary celebrations, retirement and graduation parties, and even weddings and wedding receptions. The Brock House and Hot Rocks are still owned and operated by Chris & Russ and have become home to so many in the area. Both restaurants are open 7 days a week. Be sure to visit The Brock House or Hot Rocks, even if it’s just to say hello to your friendly neighbours, Chris & Russ. On behalf of the children and families of Simcoe Hall Settlement House, please accept our sincere appreciation for your thoughtful donations & continuing support of the 2017 Christmas Food and Toy Drive, through the Fashion Show and silent auction that you do at Hot Rocks. Thank you for remembering us and for joining our efforts to care for over 1,500 less advantaged families/clients in our community who are still struggling at Christmas. Also, thank-you for the wonderful food donations that you gave, as a result of the Fashion Show. Hunger and poverty are very complex social and economic issues, but with your help we can at least ensure that there will be a place at the table and gifts under the tree this holiday season. We wish Kristine Nash and everyone that participated, the very best of health, peace and prosperity in the New Year. I hope you are well and had a fabulous time with your sister on Sunday! I just wanted to take a moment to thank you from the bottom of my heart for being so accommodating and helpful and reassuring to my mom and I as we planned this bridal shower brunch together. Everything came together beautifully! Julie was fantastic and so were Michelle and Laura! Everyone had nothing but positive things to say about the food and how beautiful the restaurant was. I had a blast right through and could not have asked for a better way to celebrate. The Brock House is truly amazing and i plan to be back and i will highly recommend you. In fact one of my guests said they wished they had a restaurant like this near their home, which is located in Vaughn, so take this as a compliment!! Thank you again for everything!! You were amazing to plan with! Thank you for helping Rob and I put together such an amazing day. You thought of absolutely everything. Thank you for helping me plan almost a year in advance of our wedding date, answering my random questions throughout the year leading up to the day. You helped put me at ease thinking of the details I didn’t think about. You made sure we had a separate room for our cocktail hour so people could mix and mingle. You were careful to ensure our seating chart requests could be accommodated. You took the time to review all of our asks and create solutions with the best results. On our wedding day we were floored; our guests raved about the food, the level of service and care you and the rest of the staff showed. You ensured Rob and I got fed by putting aside passed hors d'oeuvres knowing we were arriving late to the cocktail hour. When I finished my glass of sparkling wine you were there to refresh my glass right after my last sip. At dinner, you ensured me and my new husband were served first followed by our immediate families for every course. You didn’t even mind when we were playing charades long after the restaurant was closed for the evening. You saved every customized menu and carefully packed everything away so I could take it home. You even gave us a thank you card with a gift so we can visit again and remember our amazing wedding day. I can’t tell you how amazing it is to have our wedding handled by someone who was so warm and understanding. If anyone is thinking of having a restaurant reception for their wedding, The Brockhouse is absolutely the only choice for the best night ever! "The Brock house was there when we closed on our first home and got engaged the same night in January of 2015. We had a delicious steak dinner picnic on our unfurnished living room floor, after which my husband proposed to me! A year to the date, we were married in our home in the same spot in our living room. Where else could we celebrate with our families after the ceremony than the Brock House ?!? The Brock house once again impressed us with delicious, filling courses. They were flexible and worked with us to create a menu that would satisfy everyone. Their service was impeccable, and always with a warm smile. They made our whole family feel welcomed and loved, and the private "Nash room" provided the perfect ambience to our occasion. Everyone had a great time and positive reviews of the whole night! We look forward to spending anniversaries in the years to come at our favourite restaurant!" Thank you soooo much for the incredible evening we spent at The Brock House! Our wedding was everything we wanted and more! The service was exceptional and the food did not disappoint! Thanks for all of your help leading up to and including our wedding day! We'll be back soon! This email is long overdue and our apologies for not getting back to you sooner. We are so happy that we choose The Brock House for our Wedding and our Reception. The team you have there made our special day beautiful, memorable, delicious and so so easy! First of all, we would like to say thank you to Maddison. From the first email and phone call about having the event, to the last goodbye of the night, you made us so relaxed and comfortable. We loved how you listened to every word we said, offered suggestions for menu's, seating and decor, and then turned it into reality for us. You accommodated every desire and made it better than we hoped. 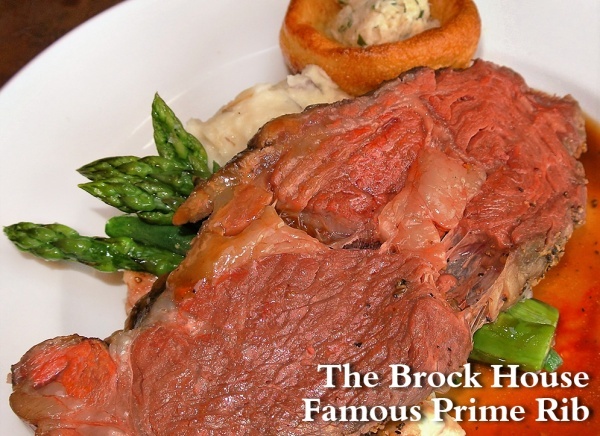 We had gone to see several different locations and restaurants before choosing The Brock House. We had a small wedding and reception with 27 people and with every other place we were made to feel that, we "weren't big enough". We didn't feel special. But not with you and your team there at The Brock House, you made us feel like royalty and were very respectful! Thats one of the reasons we choose you. Maddison, we noticed how you especially took care of Alex, myself and our children that night, we were never left for wanting anything. You called us by name, you and your staff were not just friendly, you felt like part of the family that night. The way we were treated made us feel exactly how a bride and groom should feel on their wedding day. You and the staff were incredible. Everyone of our guests raved about how fluid and polite and prompt the service was. The size of the room, the way you organized the place settings, the appetizer amounts and how they were served, the drink service and especially the delicious dinner menu! So wonderful! For us, seeing the joy on everyone's faces and hearing the murmurs of "mmm" and "this is so good" with every mouthful, was just one of the things that helped make our day so special. After dinner, we had the chance to go around to each of the tables and talk to everyone and they all raved about how wonderful the food was. They all said how quick the service was and how hot and fresh the food tasted. There was not one plate that had food left on it! We couldn't agree more. The food was beyond what we imagined. Your Chef and his team are incredible! Every single one of our guests raved about everything. They were pleased with the service, the food, the drinks, everything! I wish we had all the names of the staff because we would like to thank each one for all their hard work to make our wedding go off without a hitch. High praises for all the staff that helped with our wedding that night, each of them deserve all the best wishes we can give. To have us and our kids, our family and friends made to feel special, to be catered to like we would our own families at home, it made the wedding we wanted! The team there made us all feel like The Brock House was our home that night. The room was our own private little world, we didn't feel like we were in a restaurant, it was a little oasis of heaven. We can't wait to come back and have dinner again, we have so many lovely memories there now! If anyone is trying to figure out where to have their next family celebration, wedding or otherwise, The Brock House is the to have it. Maddison and the staff will take care of you and your guests, the food is delicious and they make it fun and easy. I just wanted to send you a quick note to thank you and your staff for making the Provider appreciation brunch so special. We all had a lovely time last Sunday. I just wanted to thank you and your team for helping us celebrate our daughter's birthday. The staff was very patient and accommodating and our event turned out great! I would like to thank you for your very generous donation of food and toys again this year. We were thrilled to see the Sysco truck arrive and the food that you purchased with proceeds from your Hot Rocks Fashion Show has helped us restock our shelves at a very busy time here at Simcoe Hall. Please also extend our thanks to those involved in your Christmas Party for the donations of food and toys. It is always terrific to see you and it was great to hear about your longstanding connection to Simcoe Hall through the Women's Welfare League. We wish you the best in 2015 and thank you again for being a wonderful friend to Simcoe Hall. Just a quick note to say Thank You to the Brock House Team for catering our Lunch on December 19, 2014. We had many, many compliments! The food as always was excellent and with four servers vs two and two lines instead of one made a huge difference! Also thank you again for the gift cards! Lunch was very well received today and although I just had a small amount and taste I agree with the feedback it was delicious. Again, thank you to the whole team for a remarkable job well done. If we have a future event at the Centennial building or elsewhere I will be sure to get in touch. Also, I will highly recommend you if anyone is looking for good catering. First, this thank you is long overdue and we apologize for that. Second, the staff at The Brock House ROCK!! We’re SOO happy we found you guys. We were having a hard time finding a small elegant venue that had everything that was on our check list. But you guys nailed it. We don't know how to begin to describe in words the experience we had as we were so overwhelmed with happiness and joy due to the helpfulness of all the staff and their brilliant organizational skills, which meant we were able to enjoy our day and spend time with our guests without any worries. Not only were you accommodating with the decorations and arrangements but your food and service exceeded our expectations plus more (and ALL of the wedding guests; they’re still going on about it!!) We have never experienced such great service in our lives, and boy we were happy to experience it on our wedding day. Kudos to the chef and his team for an amazing job on making such mouth-watering, melt in your mouth, hot and visually presentable meal. And kudos to the servers and bartenders for being friendly, polite and fast. Just an unreal experience! Then there’s the wonderful Caitlin, we sincerely appreciate your guidance and suggestions as we pieced our special day. You truly made us feel a lot more relaxed, especially after we were having a hard time finding a venue. So thank you for all your help and support throughout! Overall, the restaurant itself is just so beautiful inside and out. The photos I received back from the wedding turned out above my expectations as well. Those huge windows with all that natural light coming in just brought that extra natural feel throughout the whole reception and translated beautifully in the pictures. Please never stop doing what you do, as you make others so happy.We still smile every time we think of that day and wouldn’t have been made possible without you guys. So, we send a HUGE thanks to you and your awesome team! Just wanted to let you and Russ know that we have received so many accolades regarding yesterday’s catering. It was a pleasure working with you and we look forward to contacting you in the future! This is a bit late in coming, but the meaning is genuinely meant still. The company has all gone to their respective homes, and now is the time to say a great big thank you to you and your staff. Maddie did a wonderful job looking after everyone on the occasion of my husband's 75th birthday party on Oct. 18th. We have been hearing such really good things about the venue, the service and the food we think you should be told. Everyone had such a good time and they are all raving about the food. We really enjoyed the whole afternoon and we will certainly recommend The Brock House to anyone looking for a place to hold a party. I just wanted to say thank you to you and Chris for a fabulous night. The food was great as always and everyone really enjoyed themselves. Thank you The Brock House for a fantastic dinner !! My family & I really enjoyed the meal. My house is in shambles at the moment due to renovations & the last thing I wanted to think about was preparing a Thanksgiving Dinner . Your Thanksgiving dinner to go was delicious & helped me thru this time . Last night dinner was amazing, servers were excellent. The whole experience was fantastic. Thank you to you and your team for making it such a pleasant, memorable experience for everyone. We had a wonderful time. The food was great, the service phenomenal and the room was perfect for the occasion. I think everything exceeded my expectations so can't ask for more than that! Thanks for your help and pass on my thanks to everyone. Jim and I would like to thank you and the staff at the Brock House for a wonderful evening. The room looked lovely with all the little extras that were provided and my daughters where so surprised at how accommodating and helpful the staff were. All the guests enjoyed their meal as we heard positive compliments re the food from everyone. Kudos to your chef! The Brock House will certainly be on our list of referrals for anyone looking to host a party or function. Again, thanks so much so making our day special and we certainly be seeing you soon! We used The Brock House Restaurant in Whitby for our wedding. We wanted a cocktail style reception and we got so much more. They suggested including food stations as our theme was travel and this way we could have food from around the world. We had a beautiful seafood bar that welcomed our guests with oyster shucking, sushi, crab and lobster, scallops, shrimp everything! Then we had pasta and a variety of meats, not to mention the amazing passed appetizer that kept circulating all night. They provided the staff which also dressed based on our recommendations and colour scheme. Their bartenders were quick and efficient and even helped develop our his and her cocktails. We expected great service as we frequent the restaurant for dinner and they went far above and beyond our already high expectations. Thanks for tailoring the food around the travel theme with having foods with international flair. Thanks for the great staff. Thanks for the quick responses to our questions and making suggestions we never even thought of! People are still commenting on how amazing the food and the set up was! Thank you. We had a fantastic evening and our servers were absolutely the best! Food was great and the amount was just right. Thanks again for all your help. We had a very special evening and we thank you so much for helping that to happen. We love the Brock House and highly recommend it! Thank you for all your help with our celebration of Cris 60th, everyone enjoyed the room, the food and our server was outstanding. Great memories!! The Brock House is by far a favourite with our family! I just wanted to say thank you for our experience at your restaurant Saturday, May 10 @ 7:30 pm (reservation for Charles) for my mom's 70th birthday celebration. After a few mixups with the reservation and then not actually being seated where I had requested, I was beginning to have doubts about my restaurant choice. Being from out of town, I chose the Brock House based on internet reviews and a brief in and out visit while on the way through from Belleville to Barrie. I am not a fan of "chain" restaurants, preferring to frequent independents because they usually care more and put alot more effort into everything. I am delighted to report our entire party was very impressed and pleased with our experience, the restaurant, the food and our service. Our server for the evening was a delightful young lady named Anastasia. What a gem you have there!! Very knowledgeable, organized and friendly....congratulations on having her represent your business. I am ASTOUNDED that every single thing that came to our table was PRECISELY as ordered and was delivered to the correct person without hesitation. In this day and age of dwindling customer service, lack of attention to detail and a generation of young workers lacking in strong work ethics, I feel it important to compliment when I am treated the way I would treat others. Everything was beautifully presented and DELICIOUS! Even with how busy the night was, we never felt abandoned by Anastasia...she always seemed to be there at the right times. Congratulations on the wonderful business you have in The Brock House....only great leaders can inspire great workers and make their businesses successful. I truly believe you must be a very special leader from what I observed in your staff on Saturday night. And even though most of our party was from out of town, we will definitely recommend The Brock House to everyone....and we'll probably see you again in the future!! A very big thank you to the Brock House Staff for the capable organization, preparation and fabulous food for our 32nd Special Ed Reunion. I just wanted to let you know that the event in the Nash room on April 27th went extremely well. The staff was very helpful and efficient. All of my guest only had good things to say about the food and staff. Julie and the other ladies who waited on us, were very professional and extremely helpful. Thank you to the staff and The Brock House for making my husband's birthday celebration such a success. A special thanks to you for allowing us to bring in our own sparking drink. We will certainly use this facility again for any special celebrations. We were there today for Easter Brunch; the food was really good and our server Paige was AWESOME! she was super sweet, personable, and always there when we needed something (hate it when you have to look around for your server and you can never find them). We brought our 17 month old daughter and we loved that a booster seat was sitting in the booth ready to go for her when we arrived. Thank you so much for making a family brunch a great one, we will definitely be returning. I just want to let you know how great our christmas lunch was! The menu was fabulous and omg, the coconut shrimps were awesome. So, thanks again for helping me organize this and I’m hopeful I can talk the Doctors into next years lunch and actually GO to the Brock House (that way there’s no clean up for us lol). The occasion was a wedding reception dinner for our son, Jamie Adams. From all reports, everyone throughly enjoyed themselves and several said that a return visit is in order. Thanks so much for having us on Saturday. Your staff did a great job and the food was amazing. I had great feedback from everyone at the party. Happy holidays to you and everyone at the Brock House. Everything was amazing yesterday, thank you soo much. The food was fabulous, the room set up was great, the decor of the room was amazing. I will be back to host our next vega education there for sure! Thanks again and will pop in when I am in the area and hope we can catch up. Now on to how great our service and the food was…thank you thank you for a delightful menu. I believe everyone enjoyed their selections. The meal was well organized and the servers did an amazing job please pass on our thanks. Just wanted to send you a quick note saying how Amazing last night was! I managed to pull it off and keep the event a secret right until they stepped into the room. The service was top notch, wonderful friendly staff, all the dishes on the menu were so tasty many thanks to your talented Chef! Everyone enjoyed the evening, I am so glad we used The Brock House for such a special event. We just wanted to convey our sincere appreciation for helping us organize such a successful party in the Nash room for our Mom’s 90th birthday last Sunday. The food was just superb and our guests were truly impressed. Our heartfelt thanks to your hard working staff who provided excellent service throughout the afternoon and special thanks for packing up our centerpieces so nicely for us too! The Brock House staff went above and beyond to ensure that our event was such a great success and our guest of honour will have very fond memories of the day. Our Family just wanted to say Thank You to all the Staff that were serving us on Saturday 21st. September/2013 at the Wedding Reception of our daughter Marleen Miller and Tim Conley. Everyone was very impressed with the Service, Appetizers, Dinner and Desert Etc. the food and drinks were great. As we do not remember all the names of the Staff, please pass on our many thanks. Will be sure to come and try your Sunday Brunch and also for Lunch and Dinner. Caitlin, I just wanted to send a message to say that we had a fantastic time yesterday. Everything was incredible. The food the service. Everyone commented on how great everything was. Thanks so much for your help. Please send our thanks to everyone there. We will be back for sure. Saturday exceeded our expectations by a long shot! Matt and Jessie were great! Jessie came early and set the tables for me, she was a great help. They worked very well as a team, the service was seamless! The set up downstairs was perfect for plating and serving. The food was amazing, the appetizers! Wow! Everyone was mega impressed! The best part ( for me ) was to come upstairs after dinner to a CLEAN kitchen! They even packaged up the leftovers in plastic containers and put them in the fridge. Everything went so smoothly with our event and I have to give you and the staff a very big Thank-you! Everyone loved the food (so many compliments!!!) and also the service was amazing! I have received compliments on the service and how discreet the ladies were when taking orders while we had other things going on at the same time. I just had to pass it on! The ladies would all love to go back so that tells you what a great venue I chose. Thank-you so much again for everything and helping to make my little vision a big success! We raised around $2000 – almost double what I projected, so that is amazing! If we are in town we will be sure to stop in and I hope to continue some girls nights there.